Welcome to South Georgia Upper Cervical Chiropractic. We provide a unique form of care in our office called Upper Cervical Specific Chiropractic. This means that we focus on the precise alignment of the bones in the top of your neck. 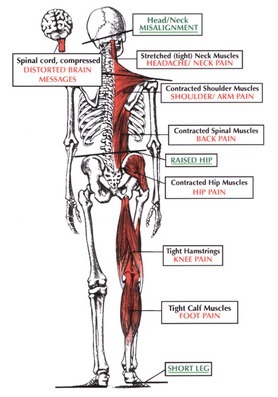 Although we focus on this area of your spine, we see benefits throughout the entire spine. Under many circumstances, we also see positive results with a wide variety of seemingly unrelated health conditions. It is our ultimate goal to provide the highest quality of conservative health care possible, while creating the least amount of discomfort for the patient. We feel that this is the most effective method of treatment for both the patient and the doctor. Lastly, we impress upon ourselves to be genuine, not only through our professional services, but also through our individual actions. We make sure this is not the exception in our office, but actually the norm. I would personally like to thank you for expressing interest in our office. Please enjoy our website and I hope to see you soon. For more information or to schedule an appointment with our Valdosta chiropractor, call (229) 469-4069 today! Dr. Clinton Sheffield is a chiropractor serving Valdosta and the surrounding area. Our chiropractor and the rest of the welcoming team at South Georgia Upper Cervical Chiropractic are committed to providing chiropractic solutions to address your unique needs, whether you are experiencing back pain, neck pain, headaches, or even muscular tightness and tension. You may be searching for pain relief after an accident, experiencing an injury, or if you suffer from a specific condition like chronic back pain or a spinal condition. Even if you are looking to improve your overall health, our chiropractor can help you attain your everyday wellness goals! Visit our testimonials page to find out what our patients are saying about our Valdosta chiropractor and our chiropractic care plans. At your first visit to South Georgia Upper Cervical Chiropractic, Dr. Clinton Sheffield will explain how chiropractic care works and give you a full evaluation to see if our chiropractic solutions are a good fit to address your needs. If there is a good fit, we can customize a plan of chiropractic care for your condition and health goals. If you have not been to a chiropractor before and want to find out more, please contact us or call (229) 469-4069 to receive the answers to your questions from our experienced team. We also welcome referrals, so we invite you to share our chiropractic and wellness information with your friends and loved ones. "This has helped me get relief from trigeminal neuralgia. It is a lifesaver. For almost anything you're dealing with, it is worth seeing an upper cervical practitioner and Dr. Sheffield is great." "I made an appointment as a last resort for intensive pain in my neck, hip and legs. I found the experience to be extremely positive and definitely would recommend this Dr. Futch and his healing approach to Chiropractic therapy to anyone dealing with pain and seeking relief from something other than drugs, etc." "Great chiropractor, Dr. Sheffield really takes his time to get to know your pain and explain his treatment."